Congratulations to the winners of the Seventh Annual Saxxy Awards! We're approaching the culmination of another Saxxy Awards filled with some really amazing Source Filmmaker videos! Today we're announcing the nominees for the Seventh Annual Saxxy Awards, and there are entries that had us laughing, crying, and shouting in surprise and excitement. 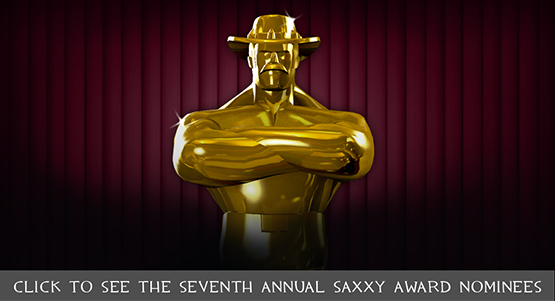 So make some popcorn, grab a drink, and go watch the Seventh Annual Saxxy Award nominees! Once you've watched the nominees, and rewatched your favorites, remember there are many more entries available that may still end up on your personal favorites list. And don't forget to come back tomorrow and find out which of your favorite nominees were chosen as winners! 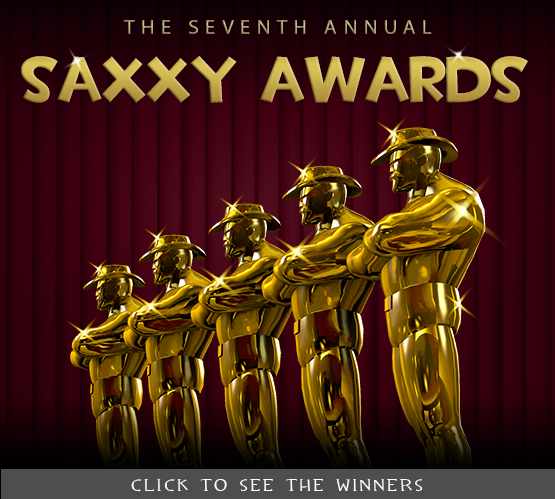 Vote For The Seventh Annual Saxxy Awards! It's our favorite time of year! That time when all the Saxxy Awards entries have been submitted, and we can watch videos all day long instead of working. More importantly, so can you! Upvote the ones you enjoy, downvote the ones you don't, and just as importantly, downvote the ones that have violated the Saxxy Awards contest rules. Specifically: no advertisements, YouTube annotations or cards allowed, any music and other assets must have links to their authors in the description, and entries should abide by the per-category duration limits. You have until 3PM PDT on Tuesday, March 13th to vote, so don't wait! For those who have submitted entries to the Saxxy Awards, please make sure that your videos are marked public, tagged with the appropriate categories, are free of advertisements, cards or annotations, and that you've attributed the creators of any music or other assets you've used, and received permission for their use. Nominees will be announced on Wednesday, March 14th, and winners on Thursday, March 15th. Until then - go vote! Congratulations to the winners of the 2016 Saxxy Awards! While we're saddened that the end of the 2016 Saxxy Awards is here, we're thrilled to be handing out the golden Saxxy statuettes for the winners! We're still laughing at some of the short and comedy entries - probably more than is really healthy. We're also incredibly excited to be extending an invitation to the overall winners to visit us at Valve headquarters. One of the unexpected pleasures of the Saxxy Awards for us is that by flying the overall winners to Seattle, we've often been bringing teams together for the first time. Many of the winning teams were spread across multiple countries, and for those teams, getting to meet each other in person on the Valve trip was a fantastic extra bonus. But enough of our reminiscing - go see which of your favorite entries won! Announcing The 2016 Saxxy Awards Nominees! We're approaching the culmination of another year filled with some really amazing Source Filmmaker videos! Today we're announcing the nominees for the 2016 Saxxy Awards, and there are entries that had us laughing, crying, and shouting in surprise and excitement. So make some popcorn, grab a drink, and go watch the 2016 Saxxy Award nominees! Once you've watched the nominees, and rewatched your favorites, remember that there are many more entries available that may still end up on your personal favorites list. And don't forget to come back tomorrow and find which of your favorites were chosen as winners! Vote For The Sixth Annual Saxxy Awards! It's our favorite time of year! That time when all the Saxxy Awards entries have been submitted, and we can watch videos all day long instead of working. More importantly, so can you! Upvote the ones you enjoy, downvote the ones you don't, and just as importantly, downvote the ones that have violated the Saxxy Awards contest rules. Specifically: no advertisements, YouTube annotations or cards allowed, any music and other assets must have links to their authors in the description, and entries should abide by the per-category duration limits. You have until 3PM PST on Wednesday, November 16th to vote, so don't wait! Nominees will be announced on Thursday, November 17th, and winners on Friday, November 18th. Until then - go vote! It's been an action-packed Saxxy Awards this year, full of twists and turns, laughs and surprises! We have shorts from well-known members of the community from whom we've seen great things in the past, and from newcomers who are submitting their very first Saxxy entry. All of the entrants are winners in our book, but there's only so much space on Saxxy Awards web page, so we need to narrow down the entries to the best of the best. So go watch the nominees for the 2015 Saxxy Awards, and see the best that the community has to offer! We'll announce the winners tomorrow, so while you discuss and debate who you think they'll be, you can also check out the rest of the entrants here. Vote For The Fifth Annual Saxxy Awards! It's time once again, for you, the SFM community, to vote for your favorite entries to the Fifth Annual Saxxy Awards! Voting is open until 3PM PST on Monday, November 16th, so you have until then to watch and vote. Don't forget to down-vote those entries which have violated the rules for the Saxxy Awards: No advertisements allowed, any music and other assets must have links to their authors in the description, and entries should abide by the per-category duration limits. For those of you who have submitted to the Saxxy Awards, please double-check your videos, and make sure that they have the appropriate category tags, are marked public, have no advertisements, cards or annotations, and that you've attributed the creators of any music or other assets you've used, and received permission for their use. Nominees will be announced on Tuesday, November 17th, and winners on Wednesday, November 18th. But enough reading - go vote! Now Accepting Submissions For The Fifth Annual Saxxy Awards! The submission window for The Fifth Annual Saxxy Awards is open! As we mentioned before, the submission process has changed, so upload your videos to YouTube and head over to your videos page on Steam Community and associate your videos with The 5th Annual Saxxy Awards. The final deadline is Wednesday, November 11th, 3:00PM PST, but as always, we strongly encourage you to submit early, to avoid last-minute network or computer problems preventing your submission from being entered into the contest, and to give you a chance to review your submission and make any last-minute changes.